Dashrath Manjhi, also known as “Mountain Man”, was a poor labourer in a village near Gaya in Bihar, who carved a path through ahillock using only a hammer and chisel after 22 years of work. Today, Dashrath is not amongst us, but his story lives on. This is just one famous example of sheer courage and determination. However, there are scores of Dashrath Manjhi’s in India who have made a mark for themselves in their villages and mofussil towns. And their stories are yet untold. It is people like these that JSPL Foundation — which spearheads the Corporate Social Responsibility (CSR) initiatives of Jindal Steel and Power Limited (JSPL) – wants to highlight and recognize through a unique national initiative titled Rashtriya Swayamsiddh Samman that it has instituted from this year onwards. 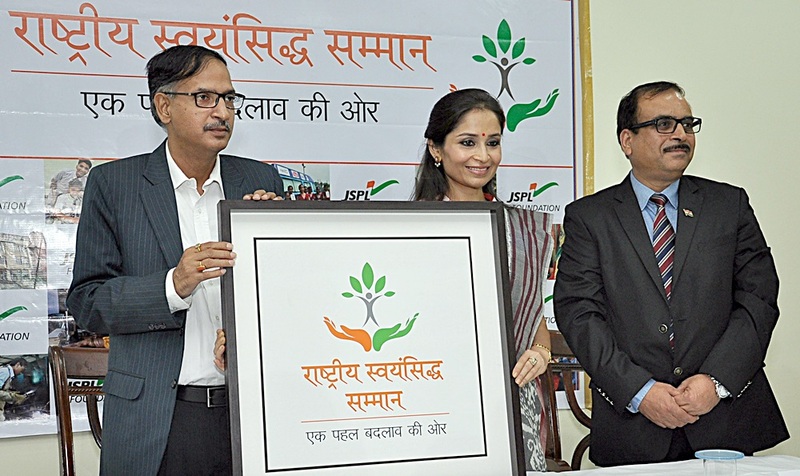 The Rashtriya Swayamsiddh Samman will felicitate people from the grassroots level for their exemplary Courage, Commitment and Confidence that has enabled them to overcome adversities and create a unique identity of their own, making them a source of inspiration for many in India. They would become Ambassadors of Change who will pan out in other parts of the country to work for the upliftment of the underprivileged and through their experience and hardships guide others to achieve their dreams. The awards will be conferred in 10 categories viz. Women Empowerment, Entrepreneurship (start-ups), Education, Agriculture / Rural Development, Public Service / Social Service, Art and Crafts (Ancient Heritage/Village Crafts), Livelihood / Vocational Skills, Health, Innovation / Technology (related to Science) and Environment. TEN awards would be conferred upon Individuals and 10 would be given to Organisations. The awardees will be given a certificate and Rs 1 lakh as prize money. United Nations Global Compact Network India (UNGCN), the Indian arm of United Nations Global Compact (UNGC), will be the Knowledge Partner for the awards and will be responsible for earmarking the parameters and finalising the awardees with the help of four regional juries and one national jury. The call for entries will begin from today and close by October 25, 2015. The four regional juries will meet in the first week of November this year in Kolkata, Bengaluru, Mumbai and Delhi to shortlist 2-3 names in each category from their respective regions. The shortlisted entries will then be placed before an eminent National Jury at the end of November wherein the awardees will be finalised. The National Jury will comprise noted personalities from different walks of life who have attained great heights in their own right. Enumerating about the process, Mr. Pooran Chandra Pandey, Executive Director, United Nations Global Compact Network India (UNGCN), says, “The process undertaken to recognise and honour grassroots leaders in identified areas will be a 360 degree, robust, multi-layered and impartial one that will potentially eliminate any form of favour towards anyone through a well-structured evaluation mechanism by 4 regional and one national jury. The Rashtriya Swayamsiddh Sammanharmoniously blends with the mandate of the United Nations Global Compact to recognise leaders and their innovative initiatives on the Ten Universal Principles and broad UN goals including Sustainable Development Goals that would be rolled out this month”.